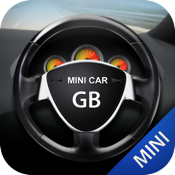 AS a virtual controller ,this app can control the car after you connect the device to the audio jack of iPhone/iPad/iTouch . there are three parts in the Application. 1.Click on the small icon into the main program , the first part of interface is Touch Sensor; click Touch Sensor to enter is operation model by hands; at the left of Touch Sensor interface ,which is forward and backward,push the slider bar to D is forward, push it to N or P is stopping.,push the silder bar to R is backward; at the right is "left / right turn operation". 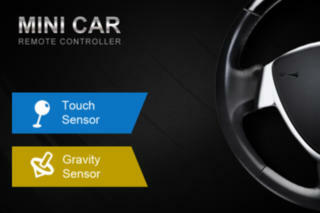 the second part of interface called Gravity Sensor,which is used the mobilephone sensor to control the cars.